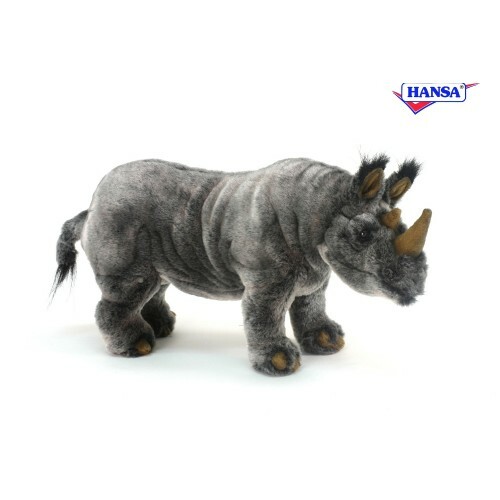 Found in southern Africa, rhinos feed on grass. They have 2 horns on top of their skull, one above the nose and one above the eyes. The front horn is much longer than the rear. Their eyesight isn?ÇÖt great but their sense of smell and hearing make up for that. 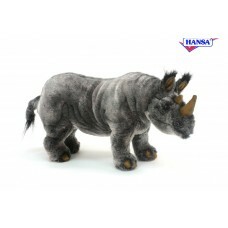 Rhinos can weigh up to 7,920 lb and be up to 13.75 ft long.